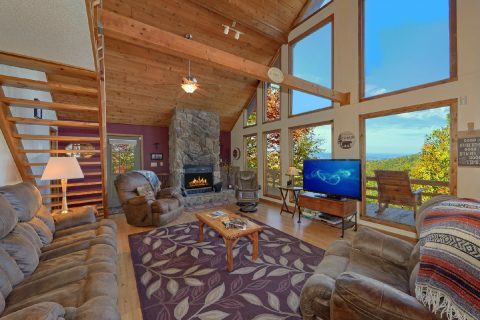 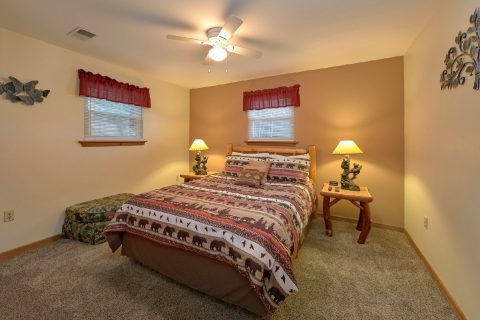 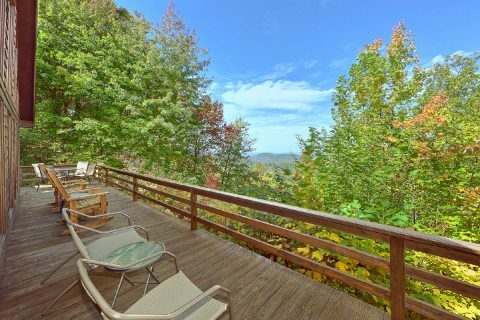 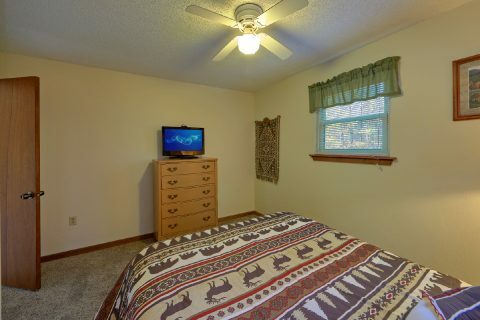 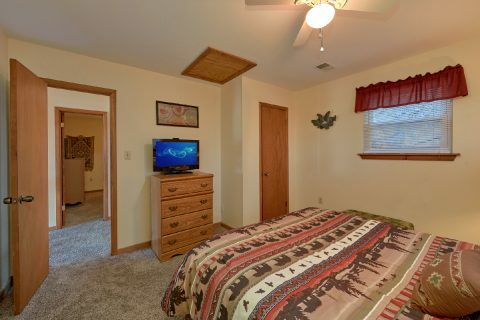 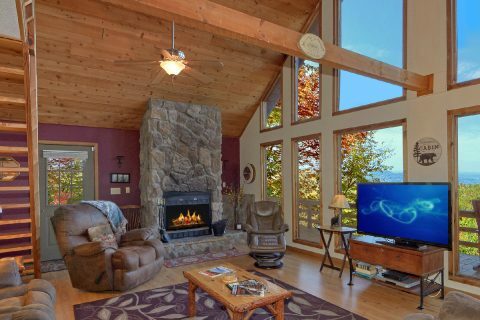 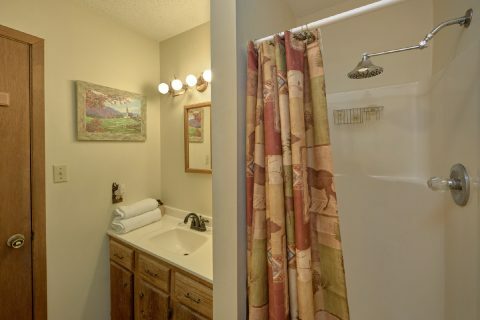 Searching for a private Smoky Mountain cabin that's also close to big attractions like Dollywood? 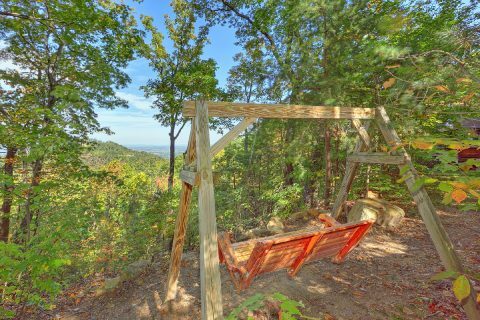 Look no further than, "Smokeys Dream Views!" 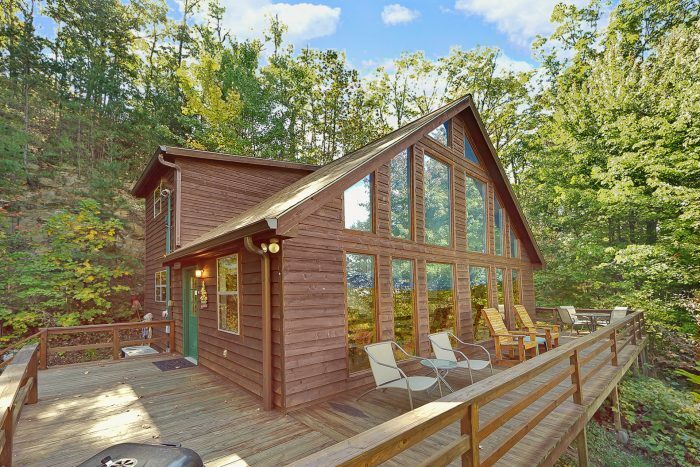 This rustic-style cabin offers guests a secluded mountain location complete with a nice view! 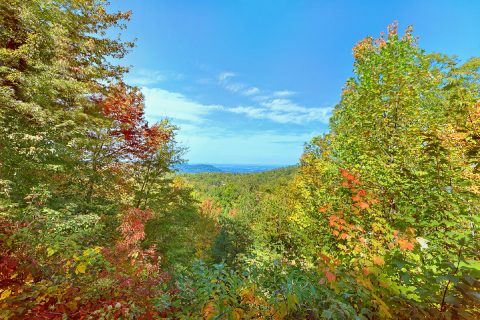 With a great location that's only 4.5 miles from the action-packed Pigeon Forge Parkway, you'll have no trouble finding great attractions, restaurants, and shops during your stay. 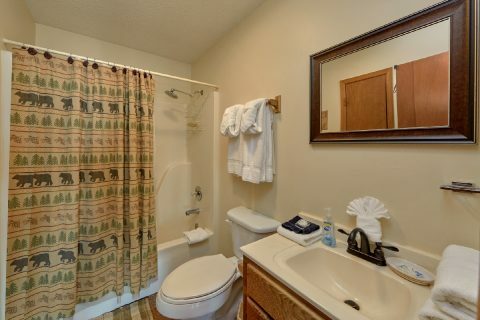 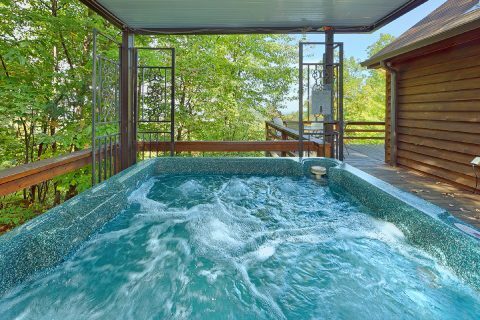 After a great day spent enjoying Dollywood Theme Park, which is only 3.9 miles away, you'll love unwinding at this cabin that comes complete with excellent amenities. 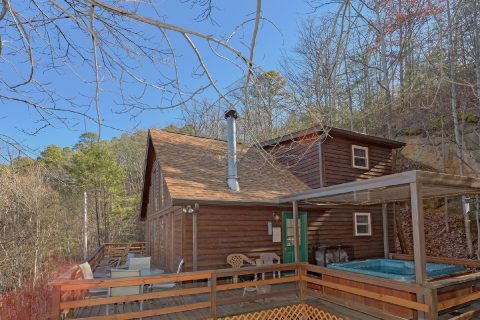 Better yet, this cabin's secluded location ensures you can enjoy plenty of peace and privacy during your stay! 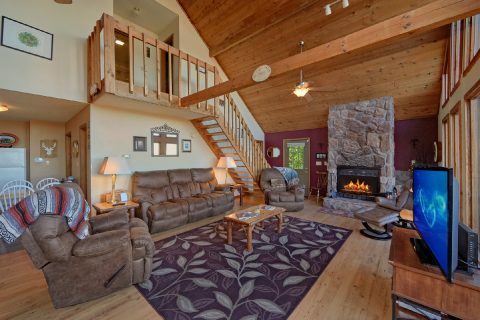 The main living area is the perfect place to enjoy good company while you relax around the wood-burning fireplace and the large flat screen television. 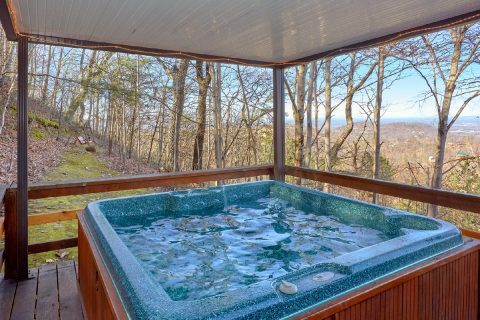 From here, you can step outside onto your cabin's deck to take a dip in the soothing hot tub while you take in the beautiful mountain scenery. 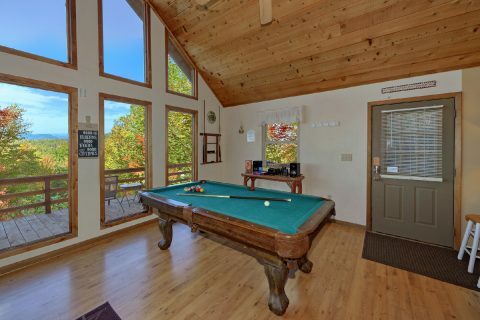 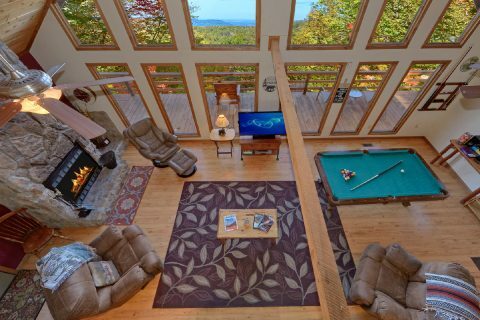 For some in-cabin entertainment, you can look forward to some friendly competition on your cabin's pool table located just off of the living area. 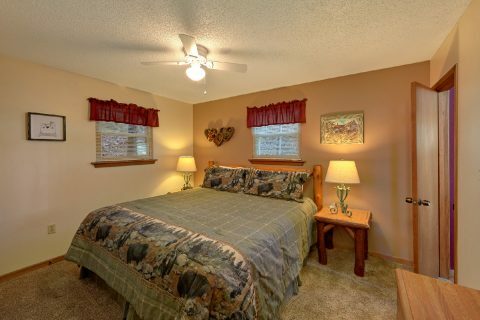 Once it's time to get some rest before your next day's adventures, you can look forward to staying in one of your cabin's 3 bedrooms. 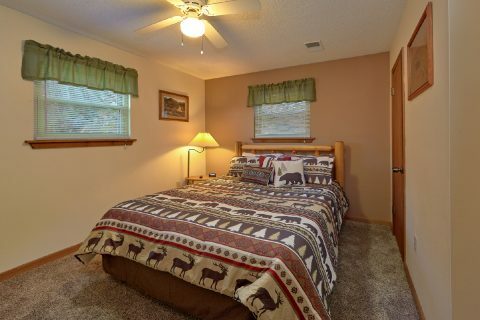 The main level is home to a king-size bedroom with a TV and upstairs you'll find two queen-size bedrooms. 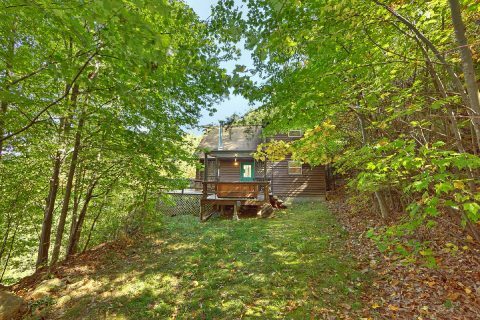 All in all, this cabin sleeps up to 6 guests in comfort. 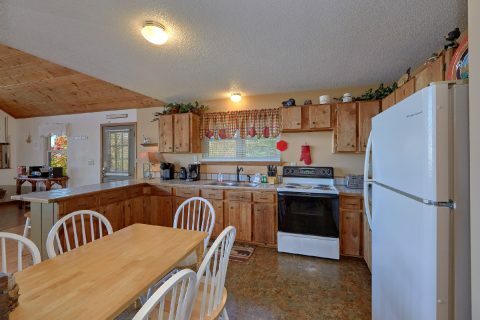 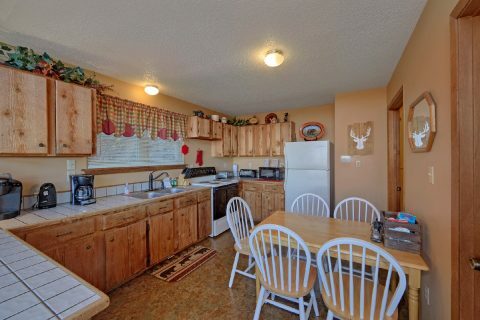 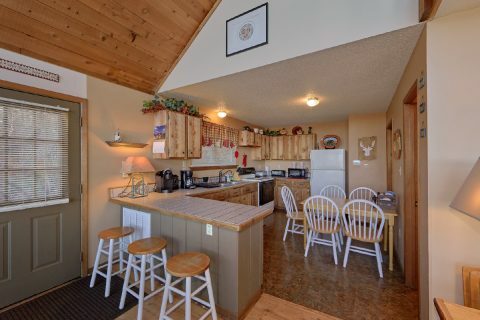 With your cabin's full kitchen, you can easily prepare delicious meals in the comfort of your rental. 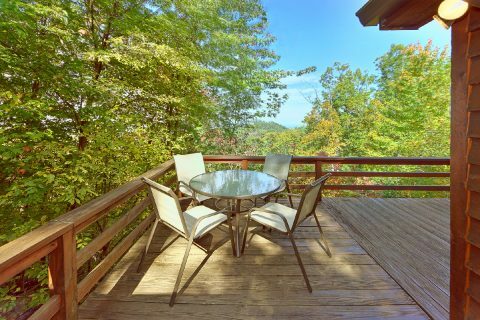 Additionally, a charcoal grill is provided if you'd like to enjoy a cookout during your Smoky Mountain vacation. 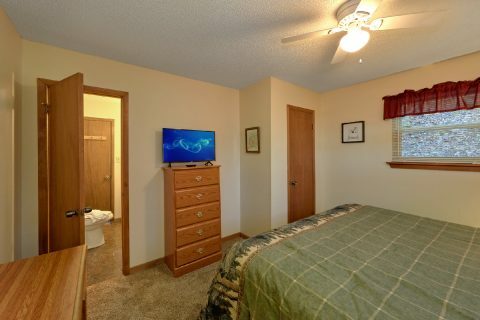 Lastly, this cabin comes complete with practical amenities like WiFi Internet and a washer & dryer for you to use during your stay. Book this secluded cabin near Dollywood today with Cabins USA to earn a 15% discount on your nightly rate with our special cabin discount!